You can't smoke or vape non-medical cannabis in public in Manitoba. 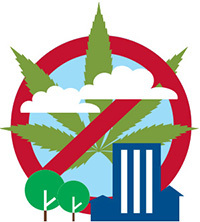 Smoking and vaping cannabis is also illegal in enclosed public places. There are some exceptions, such as designated rooms in a hospital's palliative care unit or an end-of-life hospice. Please see Cannabis and Health for more information on the health effects of cannabis. Please see Medical Cannabis for more information on use.